Ciao! E' la prima volta che entri nel mio sito? La tua passione è cucinare? Visita la sezione Mappa del blog scoprirai come utilizzare al meglio gli strumenti pensati per te: lasciare commenti, pubblicare le tue ricette, condividerle con gli utenti di tutto il mondo, e tanto altro ancora! Che aspetti? Entra a far parte del dolce mondo della cucina! By Nuxia. Welcome! If you want to read in English you clik on the top in "week's theme." If you find out information on the site and other special content, , making comments and questions to me, I suggest you read first "Mappa del Blog - Blog's Map." 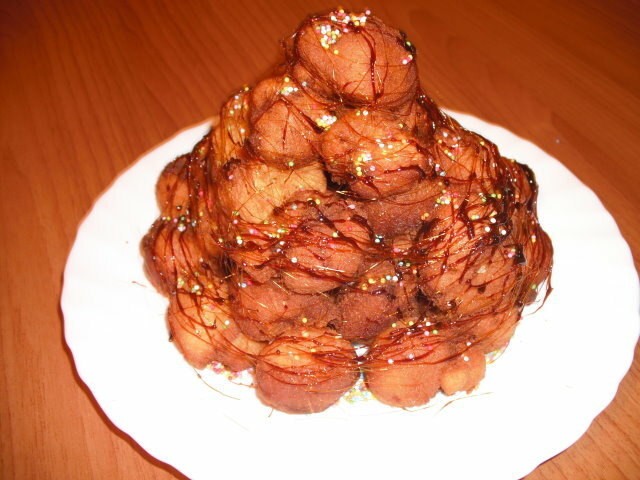 Happy reading and have fun cooking recipes "Cooking Sweet Passion "! By Nuxia. Carnival is the time to celebrate with their children, this annual event, which in Italy is considered the point at which each expresses the joy of life through jokes, disguises and masks, but it is also a time of unbridled celebration that precedes Lent , where meditation and religion take place, but above all, the festivities are left aside, until the arrival of Easter. 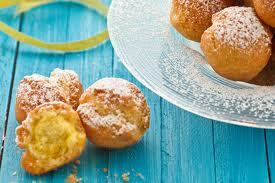 At Carnival, every corner of Italy is as festivals and events, where you can admire and show off, handmade masks (such as the Carnival of Venice), but mostly sweet taste mostly fried, such as: Chiacchere (gossip), also known as Cenci and Bugie (Lies). Do not forget the delicious desserts such Castagnole spheres, along with other local traditional Italian desserts.One of the Italian Carnival, the most scenic and famous all over the world is to Viareggio, followed by the Carnival of Acireale (see more detailed information of events on the heading "Events of the Month - Events of this Month", on this site. )where triumph floats on hand for the occasion. 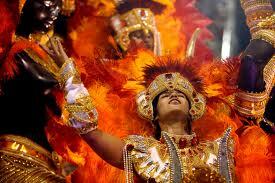 We must, however, remember that Carnival is also celebrated in the rest of the world. In some cases, in an almost exaggerated, as if in this time of year we should entertain for all other months. That is certainly more colorful and boisterous one in Rio, with carts and all dancing the samba, the Brazilian city that is considered the world capital of Carnival.With the complicity of the heat (the carnival in the southern hemisphere is in summer), the celebrations are truly engaging, dancing throughout the cities and festivals are organized on the beach. 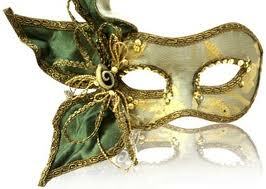 Another is the famous Carnival in New Orleans.Lasts more than a month and the jazz is king throughout the city. The festivities get mad (crazy) during Mardi Gras. Apart from tourists can meet stars of Hollywood and musicians. The Carnival is also celebrated in cold places (even from the rest of us it is winter) and the Quebec Carnival is the ice, with the sculpture contest and racing canoes pulled by dogs. The focus of these celebrations is the ice palace, made of pressed snow, which is the meeting point of numerous parties. Finally it should be mentioned also the Carnival which takes place in Switzerland, the Basel, very impressive, as well as admiring floats, masks, and ballets, there is also the performances of musicians with drums, to the streets of the town. If you want to discover the tempting recipes for Carnival, You must to visit the section "Your recipes" and "More recipe" for sweets, and "Menu nuxia and not only" for the salt (you can click directly on these titles). It's the original recipe, there is also the version that you find in the oven right after this. Mix eggs with sugar, add melted butter, zest, liquor and then the flour and a pinch of salt until the dough is quite elastic. Roll out thin and cut with a cutter striped rectangles. 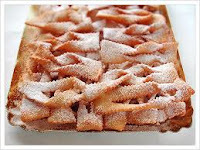 Fry in hot vegetable oil, drain on absorbent paper and sprinkle with powdered sugar.A typical dessert that comes back every year for Carnival! The recipe of the talk is the most typical and the most simple, perhaps, among the sweets of Carnival ... We can find all over Italy, though called by different names: in Friuli called grostoli in sfrappole Emilia, Veneto Galani, in the Marche - frappe, rags in Tuscany, Campania chatter. Then there are the names: lettuce and lies that always the same sweet ...Variations of the recipe depending on the region of origin are the liquor or wine used in the preparation of the dessert: the marsala, white wine, brandy or anisette. 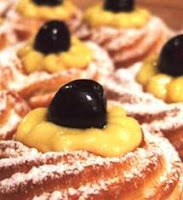 Make a fountain with the flour, the center a pinch of salt, sugar, grated rind of lemon and lievito.Sbattere eggs and put them inside, add two tablespoons of Marsala wine and butter in small pieces.Mix first with a fork, then with your hands, knead until dough is smooth and omogenea.Formare a ball, cover with plastic wrap and rest for 30 minutes.Flatten the dough, pass through the machine with a rolling pin or hang, a thin sheet.Divided into rectangles of 10 cm. long and 6 cm. wide, with the cutter wheel. Two incisions lalunghezza the rectangle of dough. Arrange in single layer on a baking sheet and bake 15 minutes at 180 °. Allow to cool, sprinkle with powdered sugar. And 'the original recipe a version is baked, found immediately after this. In a bowl, sift flour with baking powder 00. Break the eggs in the center, add the melted butter, rum, sugar and a pinch of salt. Mix ingredients well and transfer to the mixture on a floured pastry board. Working with your hands until it is smooth and homogeneous. Detaching a piece of dough and roll it up with the hands, forming a cord of about 1 cm in diameter, then cut into pieces. If you want, work with your hands to get each piece of dough into balls. Heat up the pan of fried, fill it halfway with peanut oil and bring the temperature of 170 C. Fry a few crackers at a time and not just become golden to drain well and place them on several layers of paper towels. 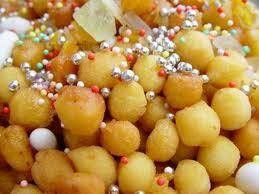 Transfer it to a serving dish and serve with a dusting of powdered sugar or with a filling of custard or chocolate. The Castagnole fritters are typical of Romagna and Lazio, as a small chestnut, the inner soft and quick to prepare, and enjoy the crackers are famous in many regions of Italy albeit with different names and with slight variations of ingredients. Little is known about their origin, but it sure is a typical dessert of Carnival, which are both simple and good, that with the filling. *This recipe is very easy. Also if you have small children, replaced alkermes preparing a syrup with lukewarm water, sugar and lemon zest. Pass the crackersare still hot two or three times in the syrup and allow to dry. Desserts will be at the right point and avrenno a delicious lemon scent. Also, if you replace the sugar indietetic sweetener, are also suitable for people diebetic or for those who want to stay fit! Put the fire water, oil and salt in a bowl, as it begins to boil, remove from heat and add 200g flour, stir quickly until it forms a soft ball. Stir in eggs one at a time, to absorb. Add the remaining flour, baking powder and baking soda. Put a spoonful (or make balls with hands) apart on a baking tray and bake at 180 degrees for 15-20 minutes. 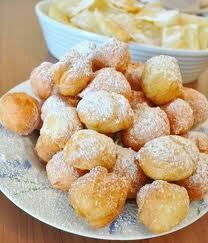 When they are puffed and golden, remove from oven *, cool, wet in alchermes and sugar. 300 ml of peanut oil. I present this recipe created by me some years ago for the Carnival. And 'the first pictures I took at a cake, and I apologize if the picture is not quite the best. But what counts is the recipe: Buonisssima and spectacular! 1 box of balls paneangeli rainbow. In a bowl mix well the ricotta in a cream so it becomes dense, add a pinch of cinnamon, sugar, stirring constantly, eggs (one at a time), flour mixed with a tablespoon of baking powder paneangeli, little at a time so that no lumps.Obtained the compound in a pan pour olive oil and heat of the flame when the temperature reaches 170 degrees, take half a tablespoon of dough at a time and let it slide in oil with the back of another spoon. Well spaced mounds of dough during baking because it will tend to swell considerably. Saute well the "oranges" by both parties, and blotted onto paper towels to dry. Eliminate eventueli imperfections of dough cooked by rice balls and arrange in a pyramid on a serving platter.Separately, in prepared pan of caramel with 60g of sugar and a tablespoon of water, once obtained dip a fork and pour you lozucchero frittellle forming on the wires on the arancini. Finally corspargete immediate rainbow balls on cotton candy so that they adhere properly, thus creating the effettodi streamers and confetti. a tablespoon of unsweetened cocoa powder dissolved in a drop of water. Beat the egg whites with 60 gr. of sugar.Beat the egg yolks with remaining sugar to get a clear frothy cream, add oil and mix well, then water, then the flour sifted with baking powder. Stir slowly, eventually, the egg whites until stiff.Divide dough into 4 pieces and color with food coloring.A dark part add cocoa powder dissolved in a few drops of water.Proceed as follows: Pour a spoonful of cream colored in the center of the well-buttered baking pan, add another tablespoon at the center of a different color, and so on.The cream is distributed forming many colored circles, which remain distinct wave cooking. Preheated oven, 180 degrees, 30 min.Switch off, leave for another 10. Put the flour in a bowl or on a plane in the classical form of a fountain in the center and add eggs, butter, sugar, liqueur, grated rind of lemon and a pinch of salt. Knead well and, once obtained a homogeneous and compact enough, by the shape of a ball and let it sit for half an hour covered with a clean cloth. Spent the half hour, working the dough for a few minutes and divide into many rods under a thick finger rolls on a lightly floured surface. At this point, cut the sticks into small pieces and arrange them on a towel, being careful not to overlap. Once ready, put the oil in a frying pan and fry the struffoli a bit 'at a time: prelevali puffy and golden, then cool on sgocciolali fouls and paper towels. To dry well and in the meantime, melt the honey gently in a pot large enough. When the honey is melted, turn off the heat and add the struffoli in the saucepan, stirring gently until they are well soaked in honey. Pour half of the tang and candied fruit in the pot, stirring it all again, then take a serving dish and distribute to the struffoli mound, the center of the pot or put an empty glass jar and you have all around this struffoli to form a donut. A honey is still warm, take the remaining candied fruit tang and sprinkle on struffolis, in order to achieve a pleasing aesthetic effect. If you opted for the donut shape, as soon as the honey will be solidified, carefully remove the jar from the center of the dish and serve struffoli. If you want to get the most struffolis swollen, you can add to the mix a pinch of baking soda or ammonia for gentle, taking care, however, to let the dough rest for at least two hours. 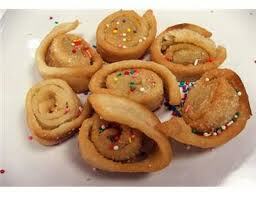 Place the flour and add all the ingredients in the center. Mix thoroughly and cut into sticks. Cut into small pieces and fry in oil bollente.in a pan over low heat, melt 5 tablespoons of sugar, add the honey he strufoli. Turn off the heat quickly stir for 1 minute to arrange them on a plate giving the shape of a pyramid and garnish with candied fruit, or candy color. Wash the orange and lemon peel and grate. Whip the cream until stiff with an electric mixer, add powdered sugar and continue for 5 minutes. In another bowl place the ricotta and mascarpone, lavorateli until a smooth paste and smooth, add gradually the cream and continue to work the dough with an electric mixer, combine the saffron and stir until smooth and creamy yellow . 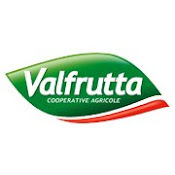 Add to your cream andlemon aranciagrattugiati and then also candied and chopped walnuts. You can replace the candies, which often do not like children, with diced fresh fruit such asapples, bananas and kiwi. Mix the ingredients from the bottom up in order not toremove the mold panna.Prendete a plum-cake and covered with plastic kitchentowel, then pour the cream and mascarpone livellatela with the back of a spoon.Cover with another film and refrigerate until ready to serve. Prepare toasted brioche,buttered slices and then cut them into triangles and place in a baking tray covered with baking paper, go under the grill for 2 minutes. Choose a plate with the proper size for your sweet, if possible, colorful. Place the pot on the mold and invert thepreparation, surrounded Russian salad with mascarpone and toasted briochedecorated with some candy or fresh fruit. 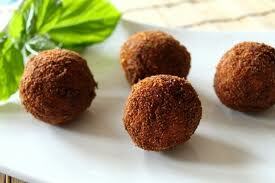 Cook rice, cool, knead into balls about 2.5 cm, insert a cube of cheese in the center. Mix the breadcrumbs with the parsley for the green, the red paprika, saffron and flourdimais for yellow. Breaded balls in flour, beaten egg and finally in bread crumbs colored flag to get the arancini. Fry in abundant oil seeds, dry on paper towels and serve. 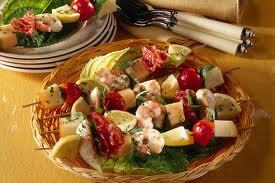 Get some skewers with cheese, kiwi, tomatoes, sprinkle with a pinch of salt. Serve stuffed into an orange.